When it comes to hopes and dreams, I love the story of Joseph. He had 10 older brothers and one younger brother. His older brothers were jealous of Joseph, because he was dad’s favorite son. Joseph’s dad sent him out one day to check on his brothers. As he approached them, his jealous brothers decided to kill him. But when he arrived, they bound him and threw him into a pit. The next day, the oldest brother talked them out of killing him, and instead, they sold Joseph to some passing traders for 30 pieces of silver. Joseph spent the next 20 years in prison. Shackled and bound with chains, Joseph served as a slave. Why? Because he shared his dreams. How many of you have hopes and dreams–things you want to accomplish in your life? 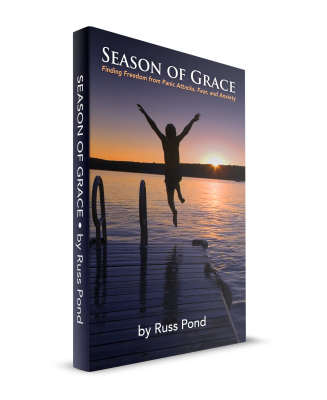 Do you feel like you’ve been thrown into a pit of discouragement and despair, only then to be dragged off to a prison of fear where you are bound and shackled–completely limited in the things you can do? While Joseph was in prison, things began to happen. He found favor with his captors. God was working in Joseph’s life, and through the years, he was elevated in position and authority. Finally, after 20 years in prison, he became second in command over all of Egypt. Due to a massive famine in the land, predicted by Joseph, his brothers came to Egypt seeking food. But, they didn’t recognize their younger brother. They bowed down to him pleading for food to eat. Joseph’s dream had come to pass. “[God] called down famine on the land and destroyed all their supplies of food; and he sent a man before them–Joseph, sold as a slave. They bruised his feet with shackles, his neck was put in irons, till what he foretold came to pass, till the word of the LORD proved him true” (Psalms 105:16-19). Joseph had lots of things to be angry about. He could have fallen deep into despair and depression, because it seemed that his hopes and dreams had been thwarted. Yet, he remained faithful to God, serving him and trusting him, even though he didn’t know why he was in prison and suffering at the hands of the Egyptians. Yet, when his brothers came to him, Joseph said, “What you meant for evil, God has used it for good, to save your lives” (Genesis 50:20). I don’t know why we go through the fear and anxiety we do. There are probably lots of different reasons why. But, I know that it’s not what we are meant to experience. Yet, God can use it for our good. He can bring those hopes and dreams to life in ways that we may not understand or even agree with. God works in mysterious ways. I have done so much with my life in the past few years because of the peace God has given me. For the first time in my life, my hopes and dreams are becoming reality. And in your life, I know that God can do that same. I am sure of it. Prayer: Father, help us to rekindle those hopes and dreams you have birthed in our heart. Give us the strength we need to walk out those dreams. Guide us with your presence through your Holy Spirit.